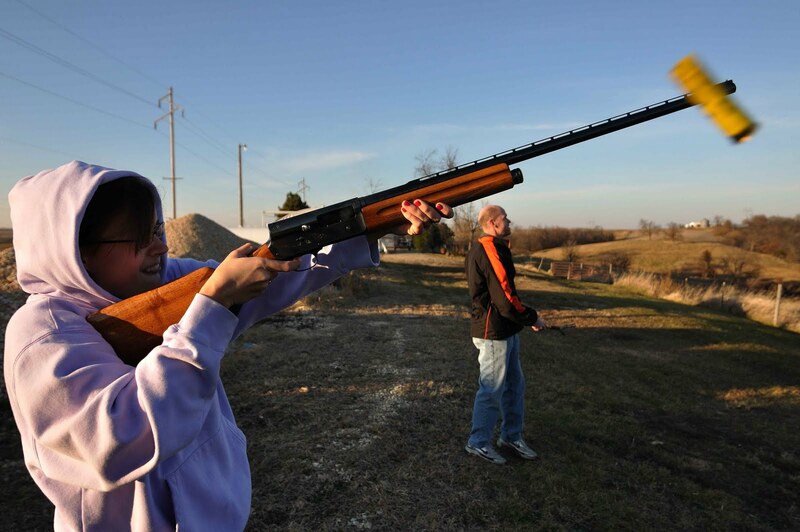 One of our family traditions is to go shoot blue rock on Thanksgiving. I am not sure why. Except that it is really fun. This is Laura having a go at it. I am so blessed to have a wonderful family to be apart of. Ditto on the wonderful family -- we have much to be thankful for. Nice job catching the casing in this shot with Laura!